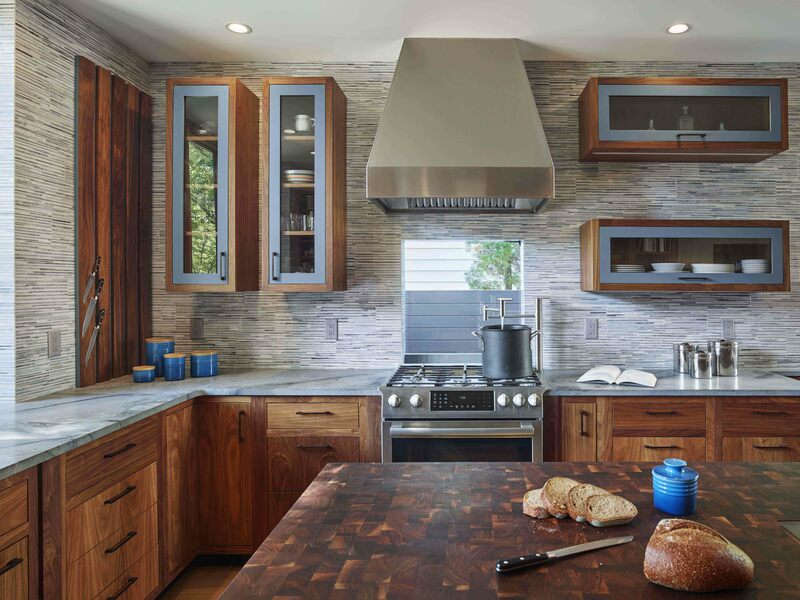 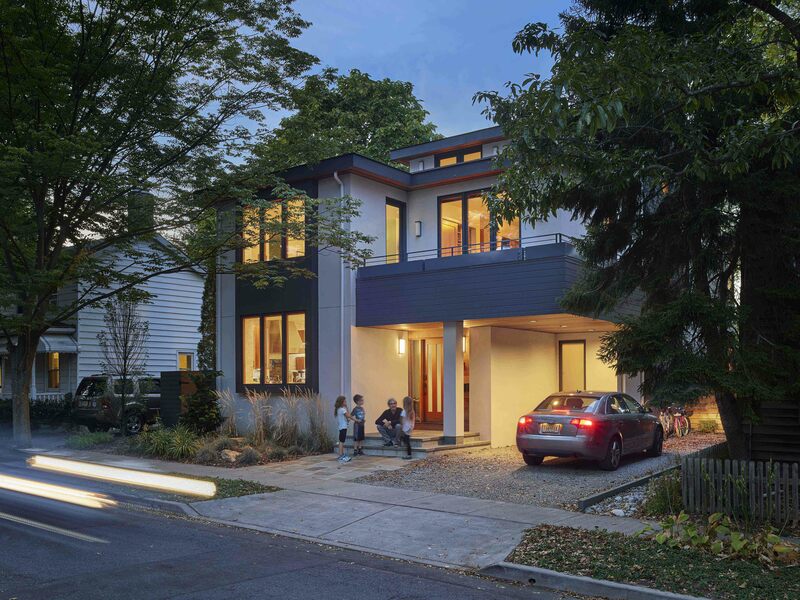 This new home in the center of Princeton Borough works within the urban fabric by utilizing traditional materials and breaking up the massing to work with the height and scale of the older neighboring homes. 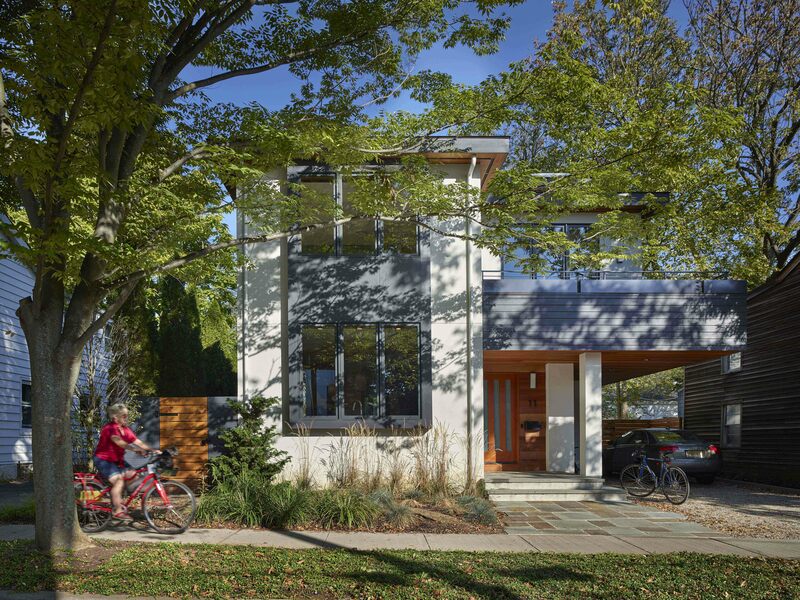 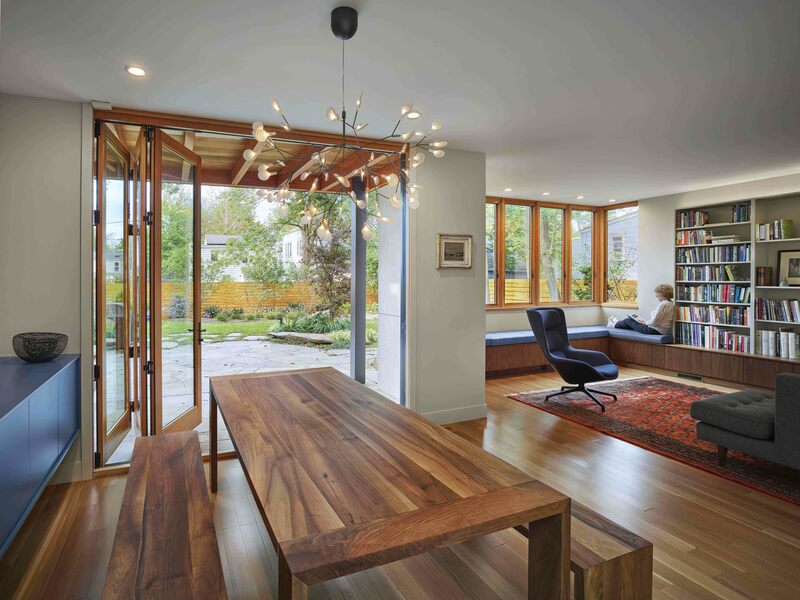 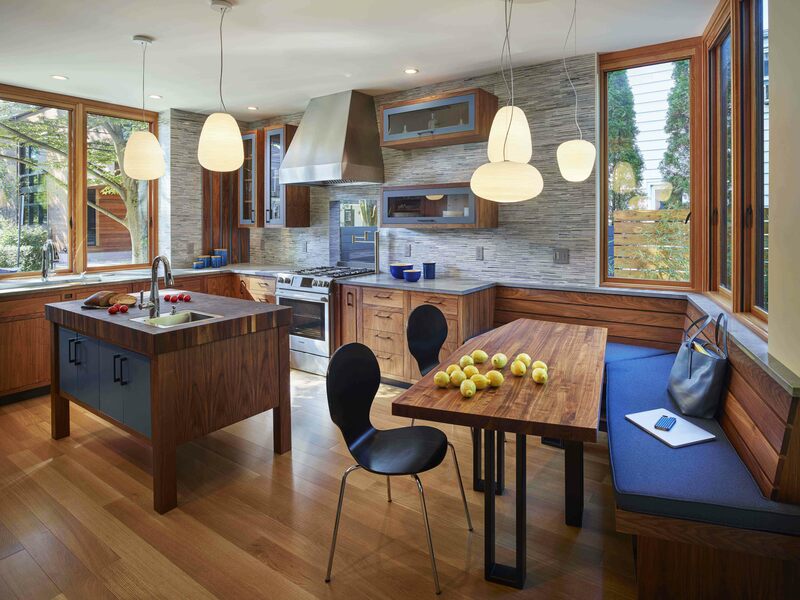 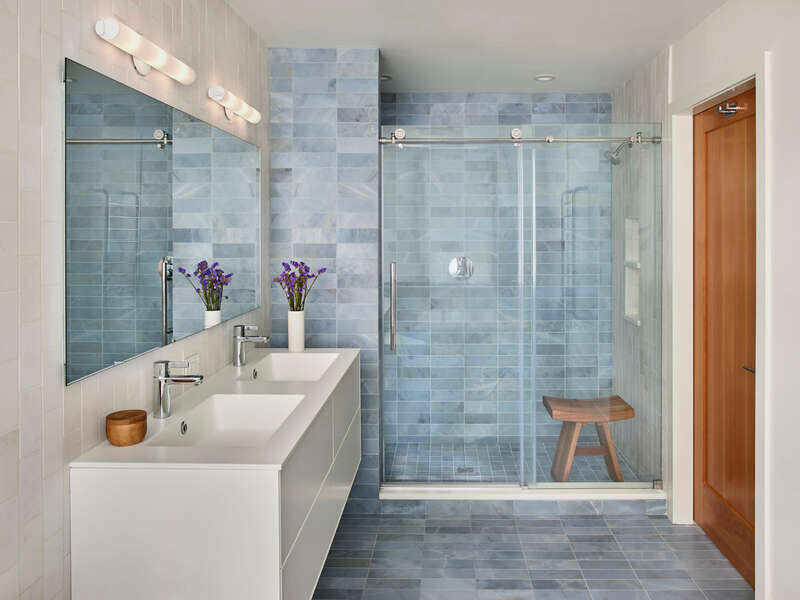 This new house is built on a narrow lot in a dense neighborhood of Princeton. 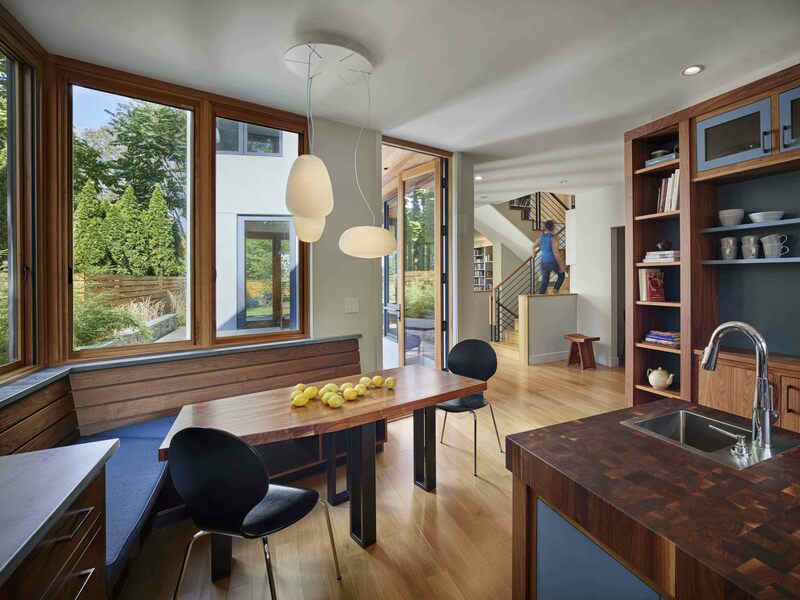 The side courtyard brings natural light into the back of the house which otherwise would be dark because of its northern exposure. 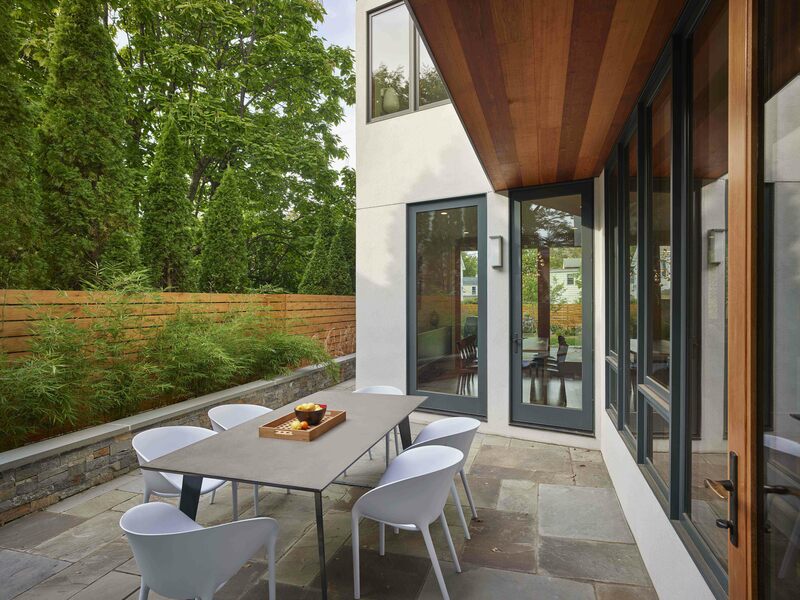 The courtyard serves as focal point for the house and an outdoor dining room. 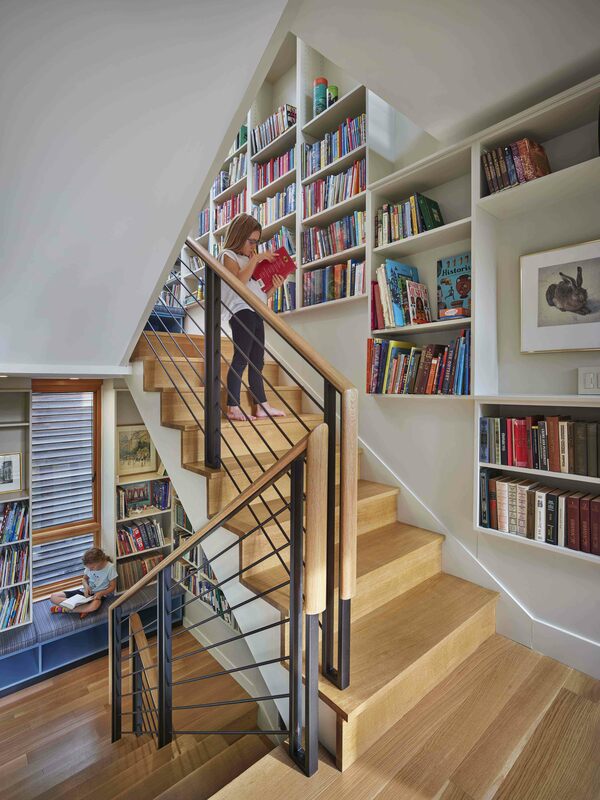 The vertical library along the stair organizes the house vertically: it is a place to store a great book collection with multiple points along the way to enjoy reading. 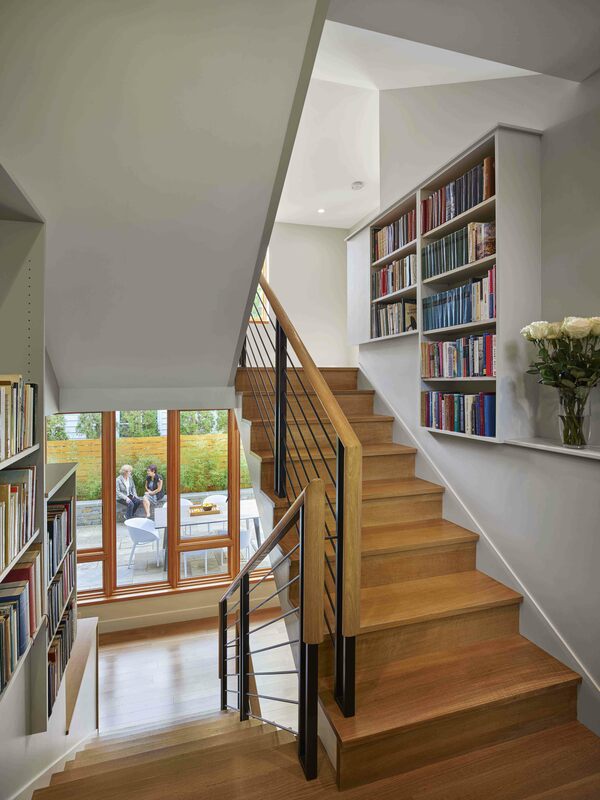 The sky lit top of the stair is a playroom for kids.